It’s March and you know what that means…an entire week with your kids! Luckily Toronto has a range of activities for kids of all ages during March Break. Here’s a list of my favourite 7 March Break Toronto Activities 2017. March Break kicks off in a big way with the Big Blue March Break at the Royal Ontario Museum. From March 11-19th, kids can check out the brand new exhibit; Out of the Depths: The Blue Whale Story. Other cool activities include wading into the world of dolphins using echolocation goggles, swimming along to a marine-themed production by The Fringe of Toronto Theatre Festival and playing with land animals from Hands On Exotics. Activities begin daily at 10:30 am and continue to 30 minutes before closing time. 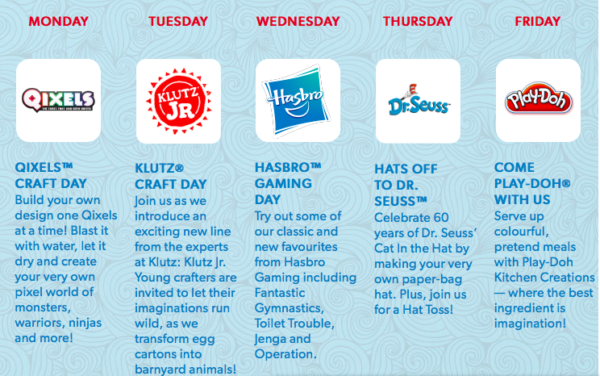 Head to your local Indigo bookstore for their March Break Adventure which includes free activities like building with Qixels, craft day with Klutz Jr. and Hasbro gaming day. Learn more about how to sign up with your local store here. Activities take place daily at 11 am. 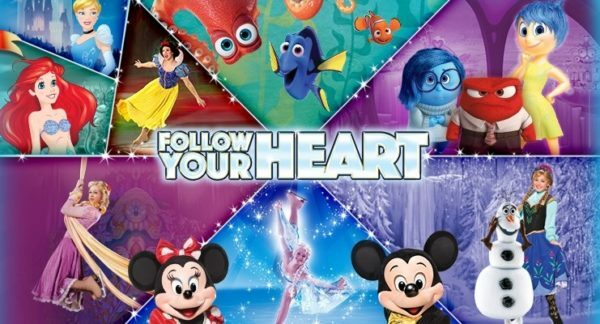 Check out Follow Your Heart, a production by Disney on Ice. The show features Dory and Hank from Finding Dory, the Emotions from Inside Out and Anna and Elsa from Frozen. Live at the Rogers Centre March 15-March 19, 2017. Tickets available here. 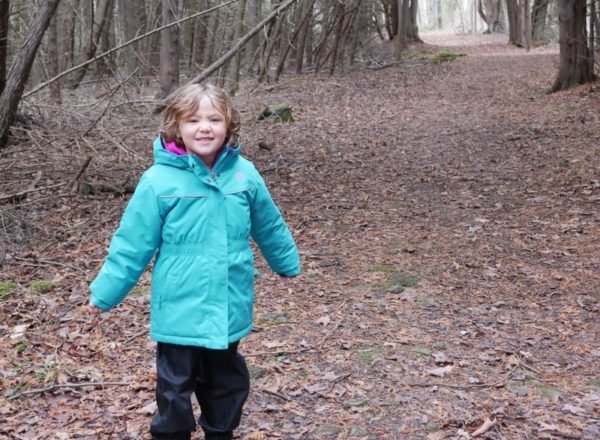 Tap into your kids’ love for all things sweet at the Toronto Maple Syrup SugarBush Festival. Check out demonstrations, take a wagon ride and eat plenty of pancakes and maple syrup. Open daily during March Break in four locations. Head to the Evergreen Brickworks on Thursday, March 16th and Friday, March 17th at 12 pm for a guided walk through the Don Valley. Kids can explore the local ecosystem and check out the plants and animals that live there. Walks are free. The Art Gallery of Ontario is hosting 9 days of fun for the whole family. Kids can explore a life-sized maze that leads to a studio where they can construct a cardboard city with tape and their imaginations. There will also be family yoga and family tours to partake in. Activities run from 10:30 – 4 pm daily from March 11th through the 19th. 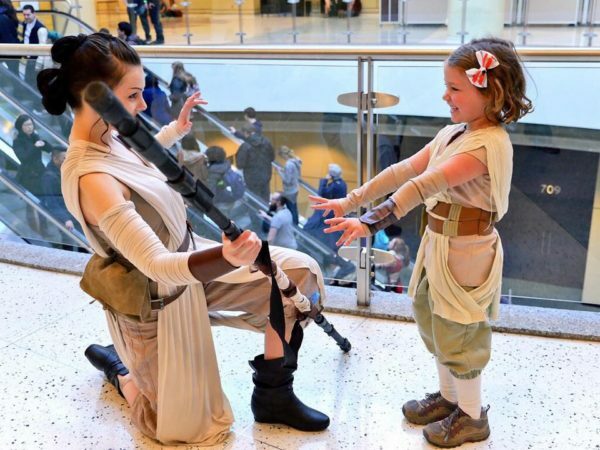 Introduce your kids to true Fandom at Toronto Comicon March 17-19th at the Toronto Metro Convention Centre. Make sure to check out Artist Alley where kids can watch cartoonists at work. Print out this coupon for free entry for up to two kids with a paying adult. Get out into the city with your kids and enjoy March Break! A great list of activities. 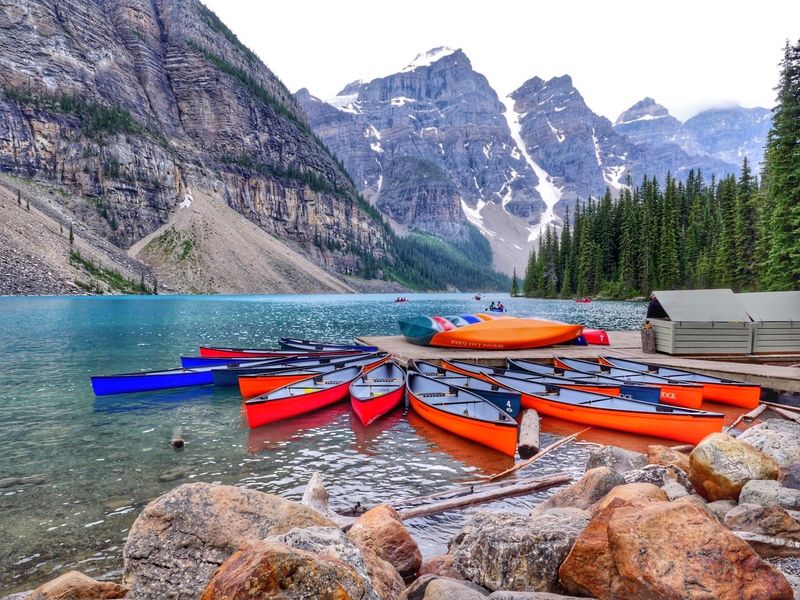 There is so much to see and do in Toronto! I’d love to take The Kids to a show at the Yonge People’s Theatre.